Last week, I wrote about a bizarre smear campaign against Betsy Butler, running for the California State Assembly in the 53rd district. In the intervening week, even worse information has come to light. In fact, it moved the story out of the "just local" category and added a national perspective. Fliers for the June 8 primary have been relentlessly pouring into district mailboxes, screaming that Betsy Butler is in the pocket of big oil, drug and insurance companies. But then a completely different story emerged. Not one of the supposed-lobbyists named in the smears are, in fact, registered lobbyists at all. In fact, one is an environmental lecturer for the U.S. State Department. Others represent clean power and global poverty. Further, Butler is endorsed by such groups as the Child Abuse Prevention Center, Planned Parenthood and California Nurses Association. Evidence pointed that those doing the smearing likely included the big oil, drug and insurance companies themselves. At least one group funding it was, indeed, an insurance organization, the Cooperative of American Physicians. That's the short version. But new information actually has made things even more pernicious. And the story now has national perspective. Last Thursday, a flier from the Butler campaign revealed details about those they claimed were behind the smears. I checked into it all. And not only was the Butler campaign 100% correct -- it's even worse than they themselves state. It happens that some of the smear fliers come from "The Civil Justice Association of California," which lists its address as within the voting district, in Torrance, California. The clear impression is that they're merely looking out for their fellow local voters' best interests. The problem is - the Civil Justice Association of California isn't listed in Torrance. They're in Sacramento, the state capital. Actually, to be more specific, their address is on (are you ready?) K Street. K Street. Sound familiar? You know, like that "K Street" in Washington, D.C. where lobbyists are based. K Street, but in Sacramento. 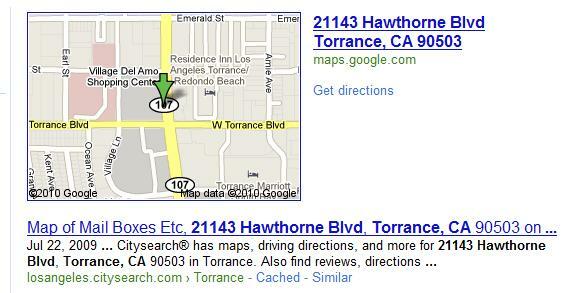 Still, though, what is this address in Torrance, California, that they give? You know, 21143 Hawthorne Blvd. Unit 436. Remember? So, I checked that out, too. It wasn't very hard. It turns out that 21143 Hawthorne Blvd is a Mailbox Etc. I'm just going to make a wild guess here: "Unit 436" is probably a really, really small unit. Like about the size of, say, a mailbox. You see, the flier sent out by the Butler campaign lists four groups who are on the Board of Directors of the CJAC that has been smearing it. But the four names are so jaw-dropping outrageous that I decided instead to go directly to the Association's website myself and make sure. It turns out that the list is far longer. And oh-so much worse. There are 56 corporations on the Board of Directors. Now, take a step back a moment. Keep in mind that the smear charges being made by CJAC are that Betsy Butler is supposedly in the reprehensible pocket of big oil, drug and insurance companies. And I left out 43 others. Like AT&T, General Electric, Hewlett-Packard, Liberty Mutual Insurance, Ford, Apple, Intel, Kaiser Health, Pacific Life, Chevron. And there are still another 33. But as ghastly as that is, that's not the bad part. In fairness, if I was BP, I wouldn't want anyone elected to anything who supported clean power either. After all, "clean" and "BP" are two words that should rarely be used in the same sentence. Then again, given their experience in the Gulf of Mexico, BP at least does have experience with smearing. And all these big oil, drug and insurance companies on the CJAC Board of Directors are claiming in their fliers that Betsy Butler should be defeated because she is supposedly in the pocket of big oil, drug companies and insurance companies. Which is - them! This is bizarre. They are trying to blast someone for being who they themselves are. Actually, this goes beyond bizarre. It is officially sickening and probably borders on the criminal. We may find it's one of the most reprehensible cases of smearing in U.S. political history. And yet the story is worse. Which is the reason this transcends a local story and is now national. You see, these big oil, drug and insurance companies have spent over $500,000 in just a single, local state district to defeat this one candidate, who's supported by environmental and global poverty groups. This is what the outrage was about. Here is the first-hand example of what can result from it. A consortium of 56 of the biggest corporations in America, united themselves to spend whatever it takes to defeat even the smallest grassroots candidates in the country. My friend Nell Minow is one of the world's leading experts in corporate governance. BusinessWeek called her the "queen of good governance." In 2008, she was the sole recipient of the International Corporate Governance Network Award for "exceptional achievement in the field of corporate governance." Last week, she wrote an analysis of my article and put the issue in this larger and proper, national perspective. "The Supreme Court's decision in Citizens United gave free rein to corporate 'speech' in politics but it did not require them to tell us who is behind it. That kind of 'free speech' is going to prove very expensive for democracy." That companies like BP, Anthem Blue Cross, AIG Insurance, ExxonMobil, Pfizer Pharmaceutical, General Electric and 50 others can unite to pour an unending gush of money to try and defeat a small, local candidate like Betsy Butler in merely an in-state race is one thing. And horrible enough. But that they can do it in any election campaign in America - and there's no reason to doubt that they won't - is another thing entirely. And not acceptable. And remember: whatever side of the political aisle you're on, huge money on the other side can unite to try to defeat you. And don't think they won't try. This knows no politics.